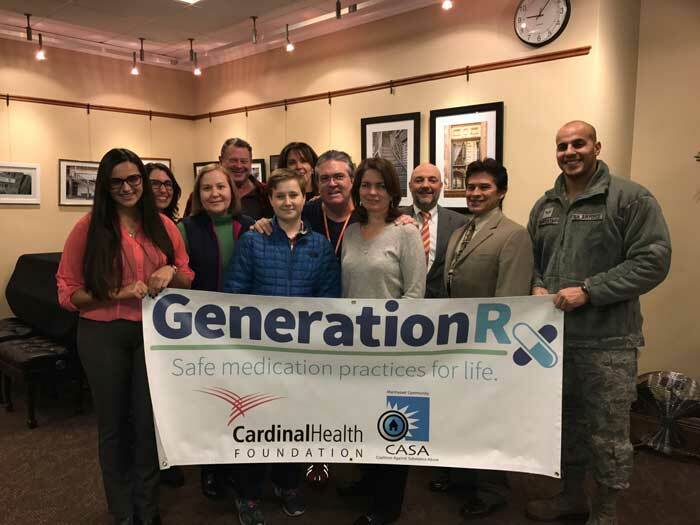 The Cardinal Health Foundation announced that it has awarded Manhasset CASA $25,000 in grant funding from its Generation Rx program. CASA is one of 17 non-profit organizations across the country to receive funding to help fight prescription drug misuse by improving community medication disposal programs. CASA will work with its many dedicated partners to implement educational programs for safe medication practices as well as facilitate the promotion of local and permanent disposal programs in Manhasset, the Town of North Hempstead and Nassau County. “Our community is fortunate to have such committed partners support our Generation Rx Medication Disposal Grant. We look forward to working with them in our efforts to reduce teen prescription drug abuse,” stated Dr. Caryn Sawyer, Executive Director, Manhasset CASA. “Manhasset CASA has been a proactive and effective leader in helping to curb prescription drug abuse. Their educational and community programs teach residents about steps they can take to prevent substance abuse, secure their medications and dispose of old prescription drugs so they don’t fall into the wrong hands. This funding will enable them to expand upon their good work and continue saving lives,” said Senator Jack M. Martins. With grant funding from the Generation Rx program, Manhasset CASA will work to increase awareness and community participation in the New York State Senate Shed the Meds disposal program, the Nassau County Police Department Precinct Disposal Box Program and the Town of North Hempstead’s Stop Throwing Out Pollutants (STOP) Program. “Manhasset CASA is effective in educating residents about the importance of safely disposing of unused prescription drugs, as well as increasing awareness of the Town’s Stop Throwing Out Pollutants prescription drug disposal program. Our continuing partnership with CASA and the Nassau County Police Department will remove dangerous drugs from the mainstream before they can fall into the wrong hands and lead to addiction and heartbreak,” added Judi Bosworth, Supervisor, Town of North Hempstead. “The Nassau County Police Department urges all our citizens to dispose of their unused medications in an effort to keep our community safe and healthy”, stated Acting Police Commissioner Thomas C. Krumpter of the Nassau County Police Department. “Cleaning out your medicine cabinets and properly disposing of any unused or expired medications is key to preventing substance abuse. Studies indicate that 70% of young people who went on to use heroin started their road to addiction with opiates found in their family or friends medicine cabinets. Together, we are combatting the national heroin crisis through awareness, education, enforcement and treatment initiatives,” explained Nassau County Executive Edward P. Mangano. Manhasset CASA’s project is collaborative, partnering with other organizations and engaging local pharmacists, like Raindew Pharmacy, because pharmacists play a key role in educating their communities about how to use medications safely. The CASA Youth Club of Manhasset High School will also be involved in the project. 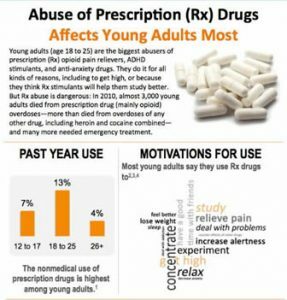 According to the Substance Abuse and Mental Health Services Administration, youth who learn about the risks of prescription drug misuse are up to 50% less likely to try prescription drugs. Young people also help influence their parents to properly dispose of unused or expired medications. The program will also utilize social marketing strategies to promote local and permanent disposal programs. “The Manhasset Press, Manhasset’s hometown paper for 84 years, fully supports Manhasset CASA’s efforts in print and online to communicate this important message across to youth, parents and the greater community,” stated Elizabeth Johnson, Editor Manhasset Press. “PATV is thrilled to be able to support Manhasset CASA’s Safe Medication Practices for Life Program and to be given the opportunity to help reduce opioid and prescription drug misuse in our community,” added Erica Bradley, Executive Director, Public Access Television (PATV). Manhasset CASA will measure the impact and outcomes of the disposal program’(s) promotion efforts and education efforts, and will seek potential opportunities for scaling up and spreading the program to other communities. Since 2009, the Cardinal Health Foundation has invested over $5 million in partnerships and grants across the country to raise awareness and knowledge about the dangers of prescription drug misuse through the Generation Rx program. “On behalf of Cardinal Health, we are pleased to support the work of Manhasset CASA,” Walker said. Since 2001, the Manhasset Community Coalition Against Substance Abuse, Inc. (CASA) has existed in the Manhasset community as a resource to reduce the illegal, underage use of alcohol, tobacco, prescription and other drugs among its youth. CASA strives to reach youth before they are in trouble by connecting parents, school, community and youth as partners in this common goal. Their goals are to reduce substance abuse among youth and, over time, among adults; and to establish and strengthen collaboration among communities, private nonprofit agencies, and federal, state, and local governments to support the efforts of our community coalition to prevent and reduce substance abuse among youth. CASA operates under the Drug Free Communities Support Program (DFC) by the Office of National Drug Control Policy (ONDCP) and the Substance Abuse and Mental Health Services Administration (SAMHSA). To learn more, visit manhassetcasa.org or like them on Facebook. The Cardinal Health Foundation supports local, national and international programs that improve health care efficiency, effectiveness and excellence and the overall wellness of the communities where Cardinal Health’s (NYSE:CAH) nearly 37,000 employees live and work. The Cardinal Health Foundation also offers grants to encourage community service among its employees and works through international agencies to donate much-needed medical supplies and funding to those who need them in times of disaster; because Cardinal Health is #AllInForGood. To learn more, visitwww.CardinalHealth.com/community and visit the Facebook page at www.facebook.com/CardinalHealthFoundation.